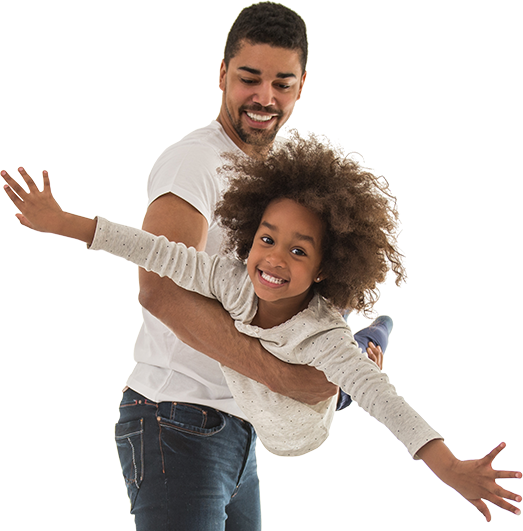 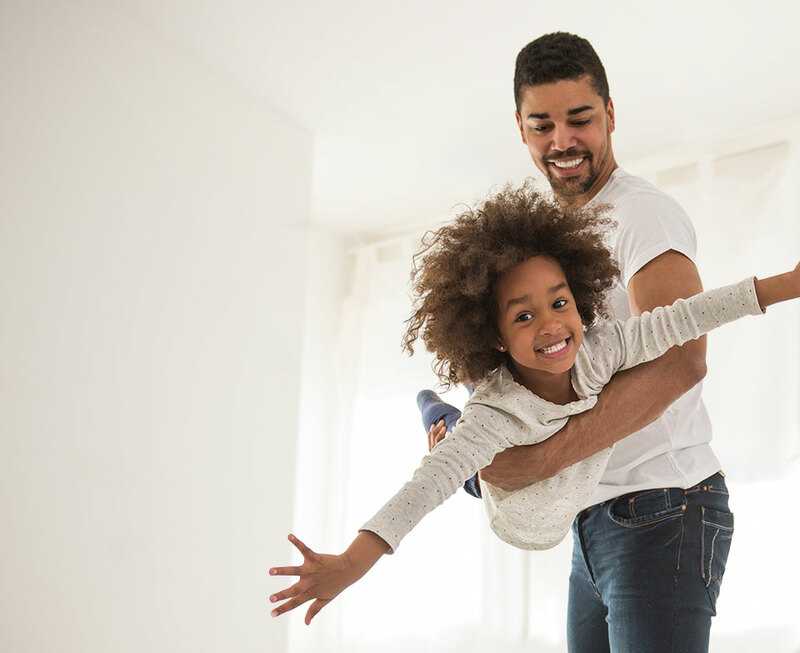 Find the right fit for your family and budget with our full range of heating and cooling solutions. 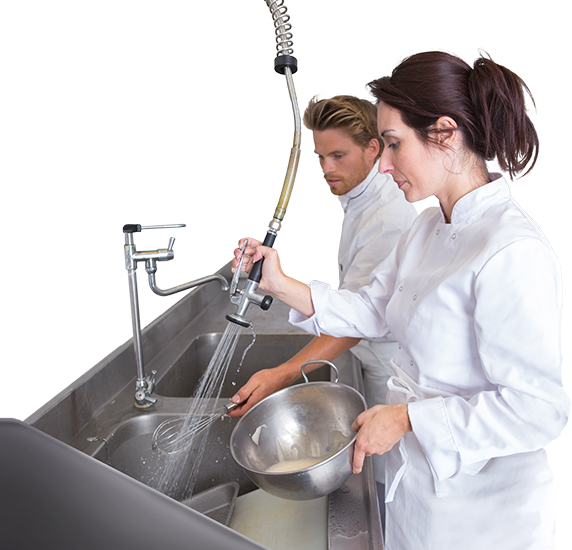 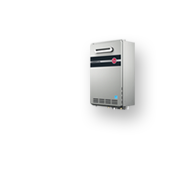 Explore Rheem hot water solutions designed for clean clothes, relaxing baths and happy homes. 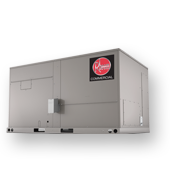 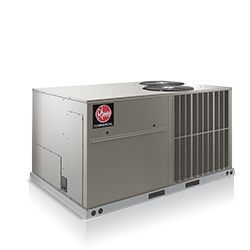 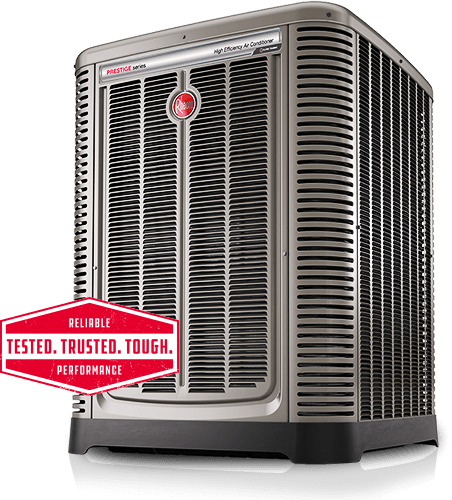 Discover the full line of Rheem commercial heating and cooling solutions designed to keep your business up and running. 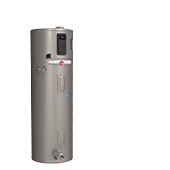 Find a durable, efficient, affordable Rheem water heating option for every size business and budget. 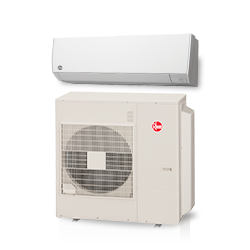 Bring customized comfort to any room, any season with Rheem ductless Mini-Split Heat Pump Systems—and save big on utility costs. 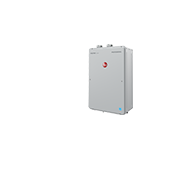 Delivering enough hot water for all your daily adventures™, Rheem tankless water heaters offer continuous hot water and savings. 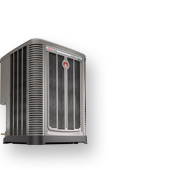 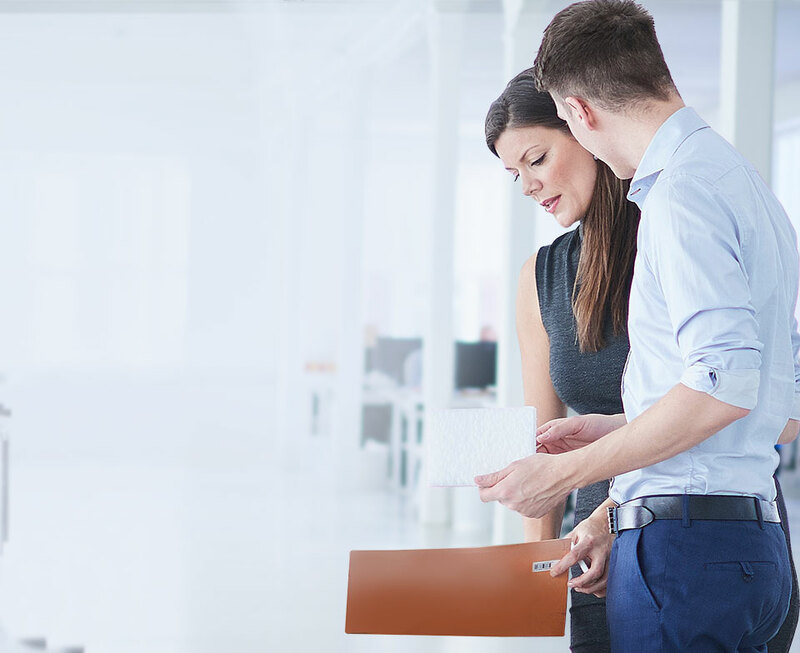 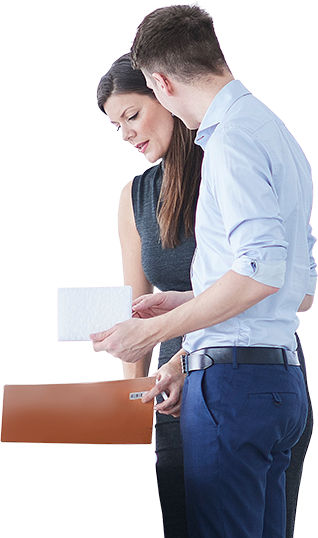 Our advanced, energy-efficient, hassle-free heating and air conditioning solutions save money so you can stay focused on running your business. 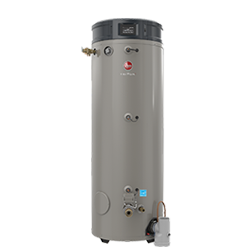 The most intelligent commercial water heater available allows you to manage and prevent water heater problems before they occur. 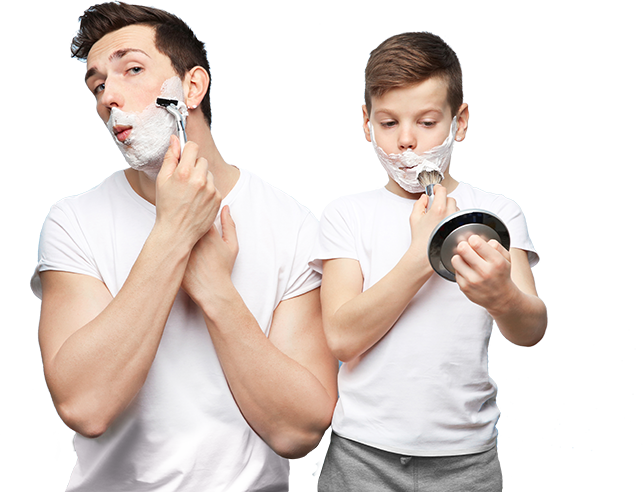 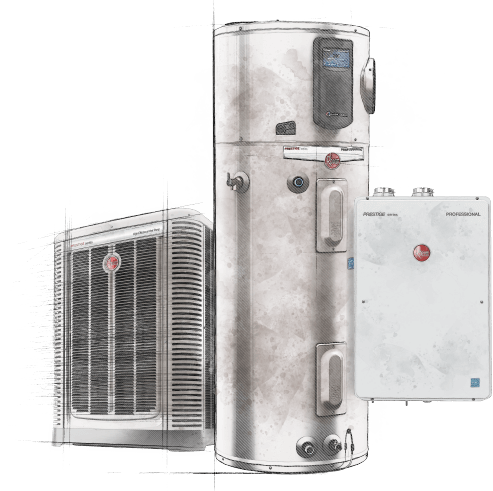 Rheem® is committed to doing everything we can to improve every environment—the one at home, the one at work, and of course, the one we all share. 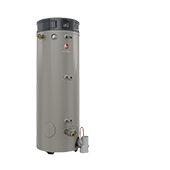 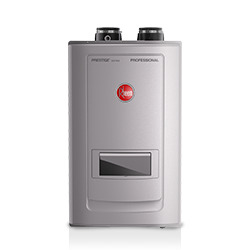 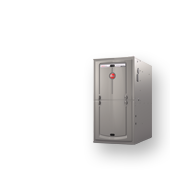 Available in whole-home, point-of-use, and even commercial configurations, Rheem Tankless Water Heaters are designed to deliver continuous hot water and endless savings. 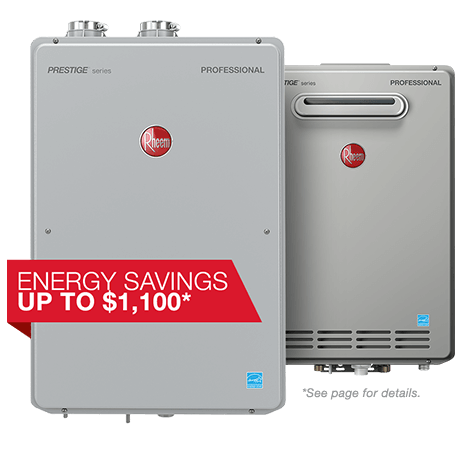 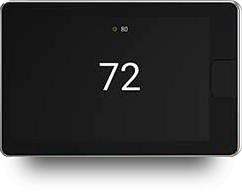 The first integrated system for your home’s heating, cooling and water heating equipment delivers new levels of protection, control and savings.